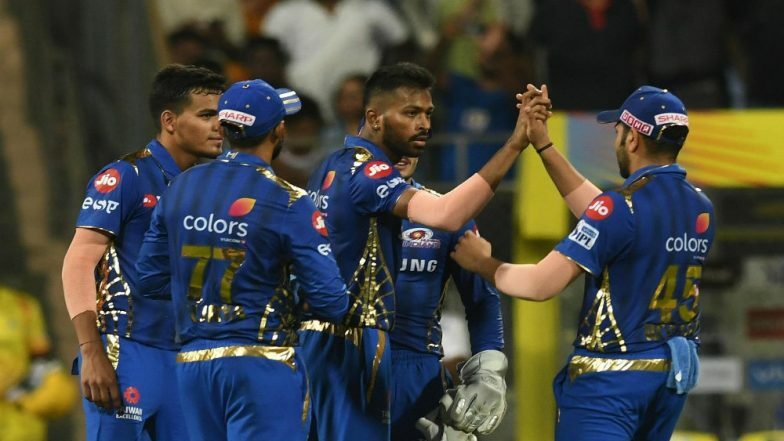 Mumbai, April 4: Defending champions Chennai Super Kings tasted their first defeat in the Indian Premier League (IPL) 2019 as they lost to Mumbai Indians by 33 runs here on Wednesday. For Mumbai, Lasith Malinga and Hardik Pandya rattled the Chennai batting line-up, scalping three wickets each. MI beat CSK by 37 runs | Mumbai Indians vs Chennai Super Kings Live Cricket Score 15th T20 Match.